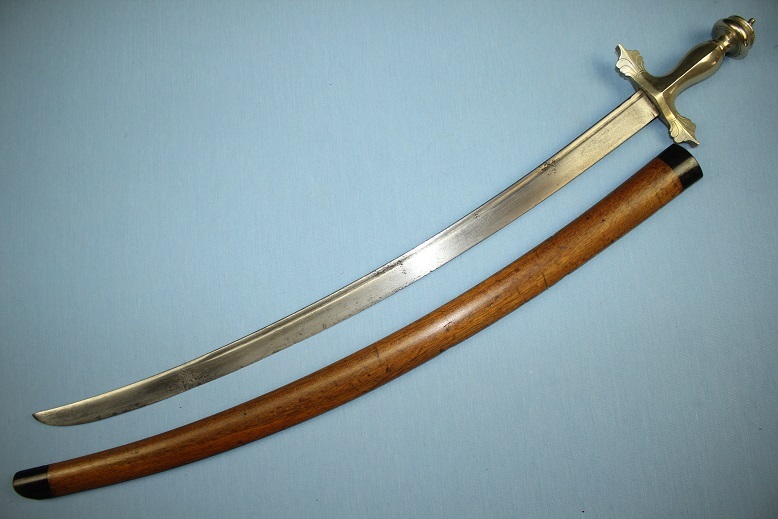 A fine and rare silver hilted Podang, Batak status sword, Sumatra. 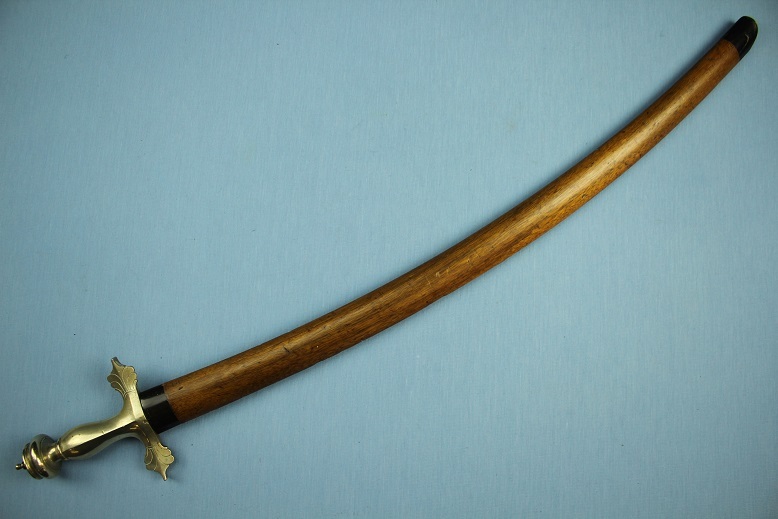 This rare sword measure 80cms long in its scabbard, 76cms long out and has a blade length of 63.5cms long. 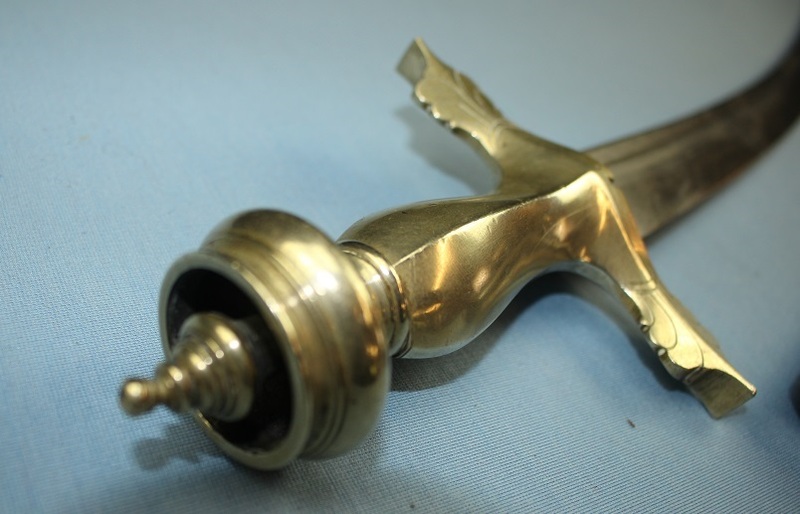 The expertly cast silver hilt shows exceptionally crisp and details lines throughout and offers a very practical counter balance to the blade weight, making it a superb fighting sword that is very fast in the hand. 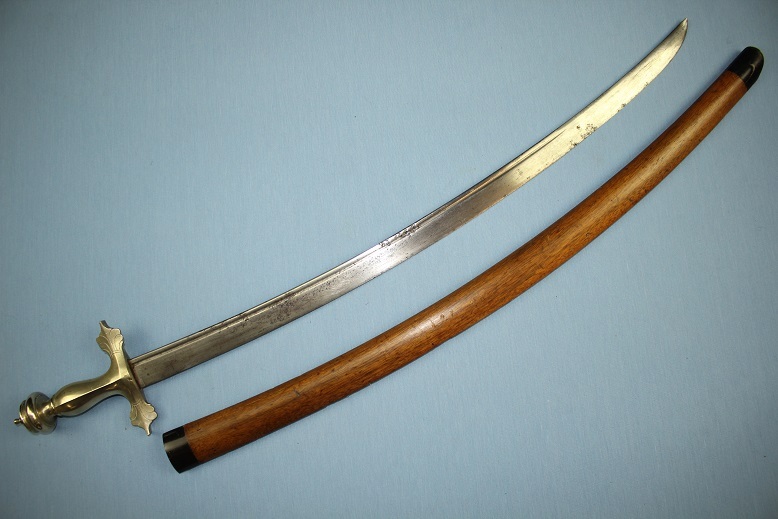 The blade may possibly be an European trade blade. It has a single fuller running, a rounded spine and a false edge to the tip and a good cutting edge. 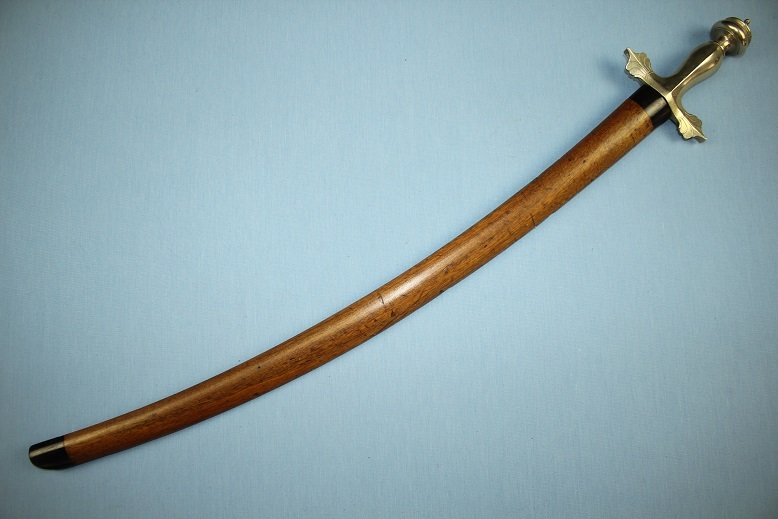 The timber scabbard is of simple form. The timber is very tightly grained and without cracks or splits and it is ends are polished black horn. 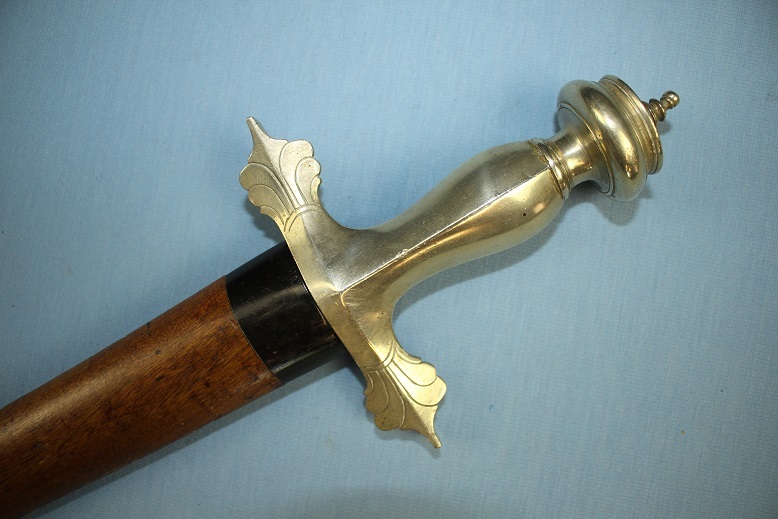 A very nice and a rare status sword.